We are so pleased to support the Institute for Geri Olympics and Active Living, Inc, in Charleston, WV with a fundraiser. Please come "Create for a Cause" with us! 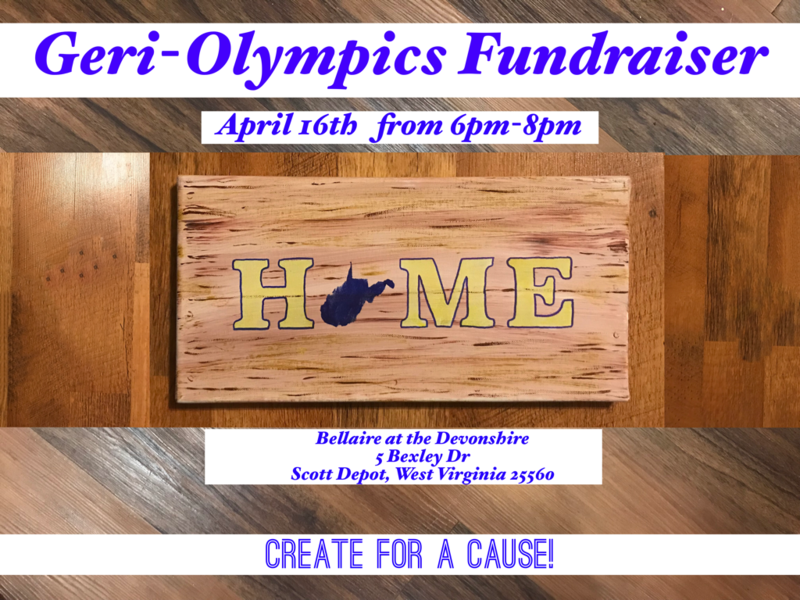 You will enjoy wine and other light refreshments while painting your own "West Virginia Home" sign, led by Lisa Alto of Alto Design. Find out more about what she offers at www.AltoDesign.org. Let's get our creative juices flowing and show our West Virginia pride! We are asking for a $30 donation - all proceeds will go toward the Geri-Olympics, taking place at the South Charleston Recreation Center on April 26, 2019. Please rsvp to DA@bellaireatdevonshire.com so that we can make sure to have supplies for everyone's painting.